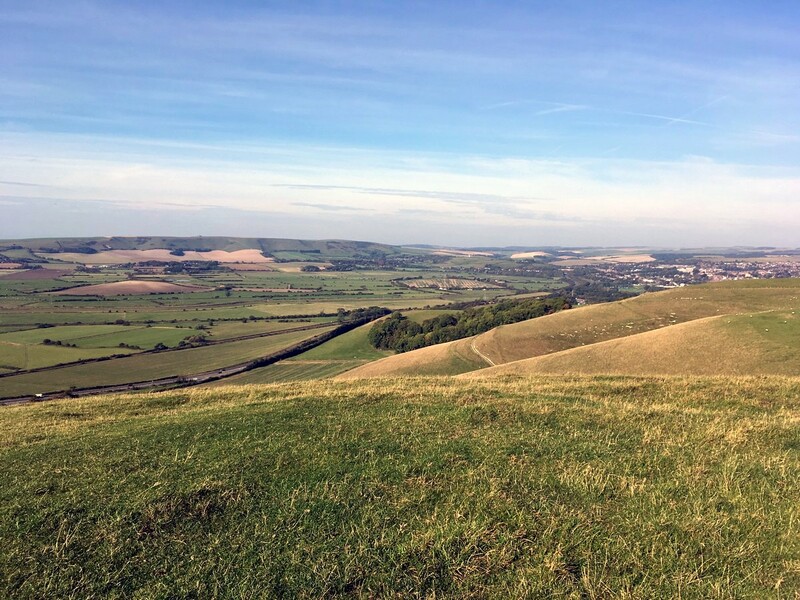 The Glynde and Mount Caburn walk is a South Downs gem. 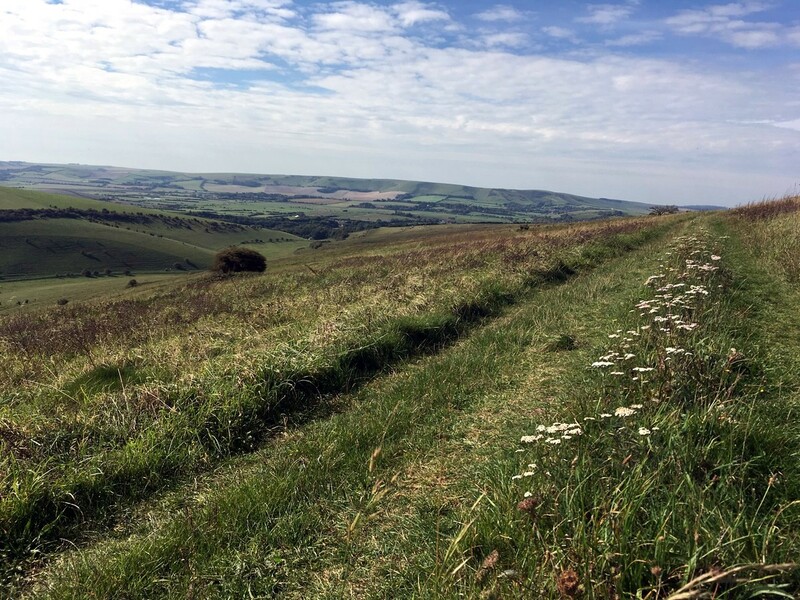 Hike along an undulating trail from the quaint village of Glynde up to the top of Mount Caburn. 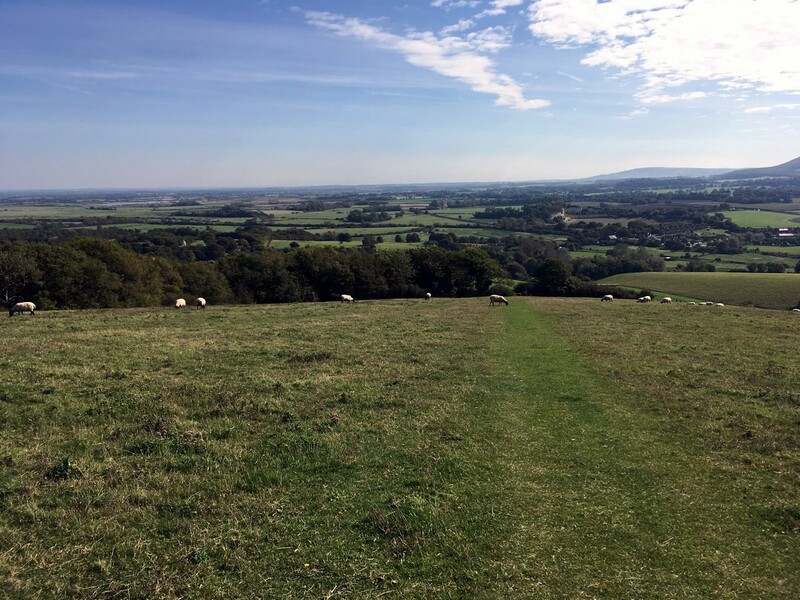 From this high, South Downs vista, hikers are rewarded with spectacular views and stunning scenery. After Mount Caburn, the trail goes across the Lewes golf course and over Saxon Cross. If driving, use postcode BN8 6SS, and park in the free village car park next to the Glynde railway station. Regular trains run directly to Glynde from London and the surrounding areas. Exit the Glynde railway station via platform 2 and walk through the small station car park. Turn left onto the footpath when you reach the road and follow it into Glynde village. The public toilets are next to the recreation ground on the left. When you reach Ranscombe Lane, the first lane on your left, turn down it. Then, just after the post office, turn through a gate on your right. Follow the grassy trail straight ahead and through the gate at the top. Continue to climb uphill through the field and through another gate until you reach a third gate at the very top of the hill. 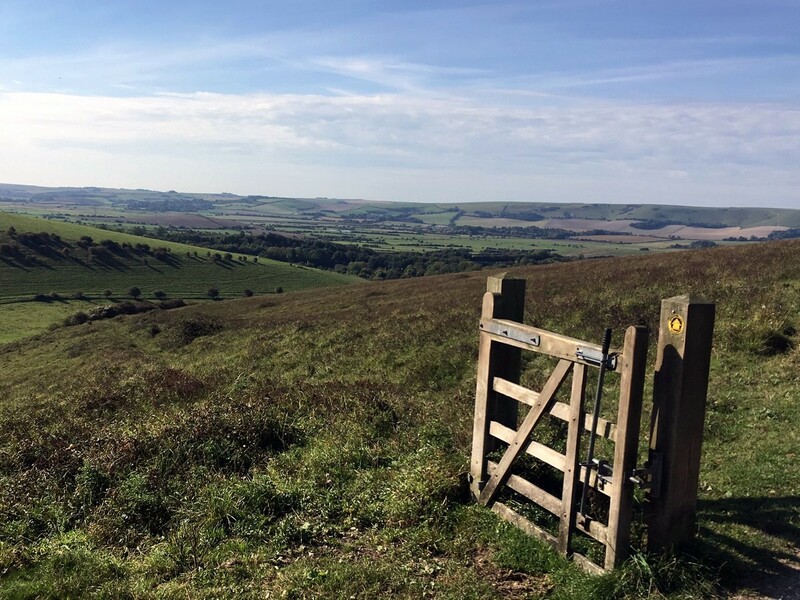 Don’t pass through this gate, instead turn left, and follow the trail into the Mount Caburn National Nature Reserve. 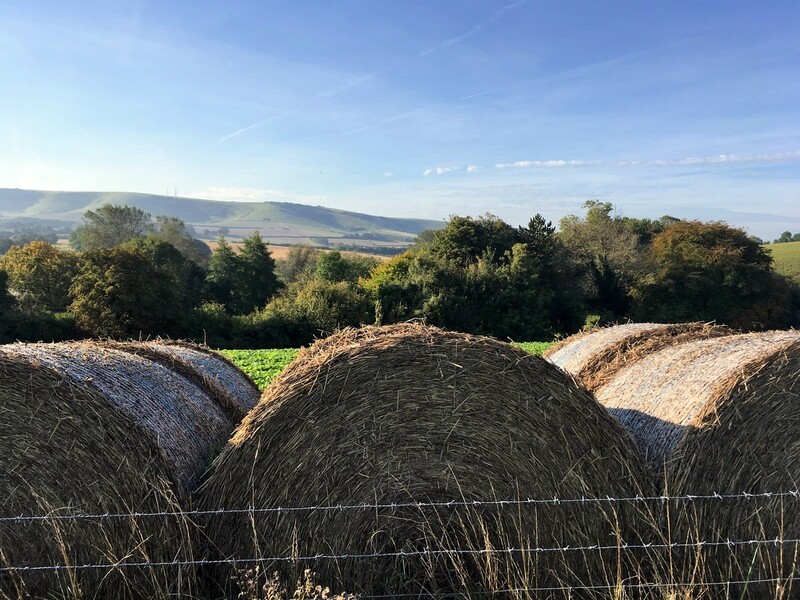 Follow the trail up to the highest point and you’ll be rewarded with magnificent panoramic views of the surrounding downs, and even the ocean at Newhaven. After enjoying the views return to the gate where you turned left and pass through it, following the trail downhill, through another gate, and curving through the bottom of the valley until you reach a dew pond. Walk past the dew pond and through the gate directly ahead of you into a field.  Once you’re in the field you’ll notice a post on the left, with a yellow arrow, pointing you diagonally uphill and through a gate at the top. Turn left onto the uphill trail after the gate, and then left again onto the grassy trail at the top. Continue straight ahead on this trail until you reach a gate leading into the Lewes Golf Club. The clubhouse is open to non-members and is a lovely place to stop for a refreshment. Still following the yellow arrows, walk left, past the club house and downhill on the golf club driveway. Near the bottom of the driveway a yellow arrow directs you up a short track on the right. 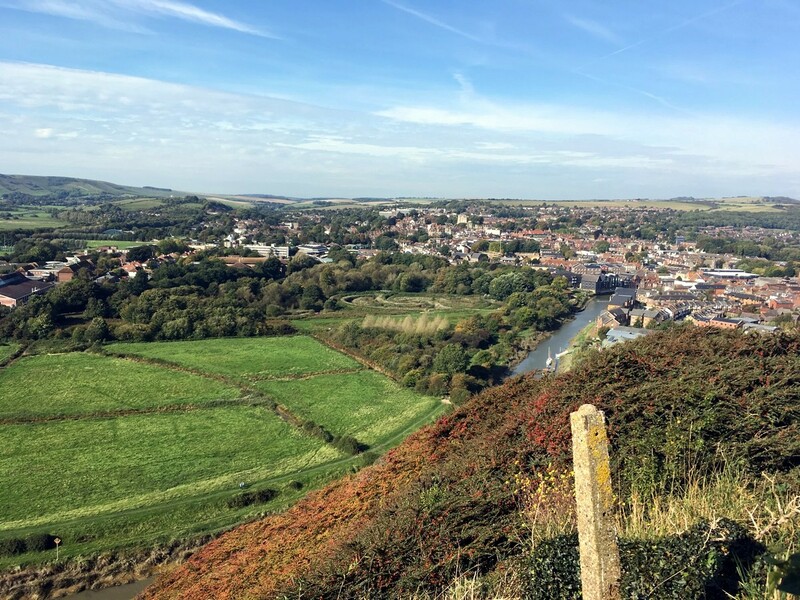 At this point, you can choose to follow the path we have on our website, however we also recommend exploring Lewes if you have the energy. Lewes is a wonderful village, and has a good selection of pubs, restaurant and interesting shops. To go to Lewes, don’t go up the short track on your right, instead continue ahead, the road now known as Chapel Hill. This road curves to the left and comes out on Cliffe High Street. We like to wander down the High Street, and usually stop at the Gardeners Arms for refreshment. To return to the path, head back on Cliffe High Street and up Chapel Hill, now going left up the short-track, re-joining the path. Whether you took a detour through Lewes or not, at the top of the track turn right, up a steep set of steps. At the top of the steps the trail weaves directly across the entire golf course, with yellow arrows on posts marking the way. Cross over the stile at the end of the course and continue straight ahead for half a mile through the next two gates. After the second gate follow the trail directly ahead, downhill, alongside the small patch of woodland on the left. Go Right when you reach another dewpond. You can follow the trail and gradually climb back uphill, along the wide chalky track. 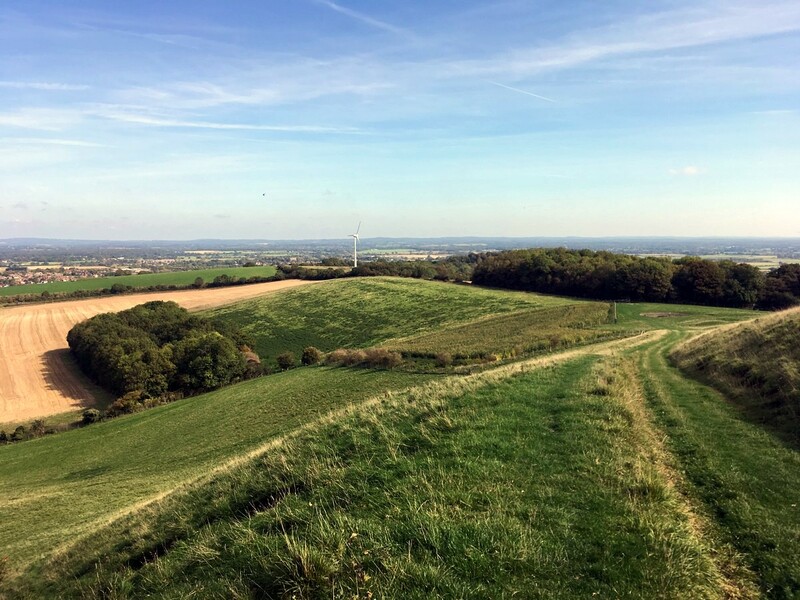 Soon you come to a fork in the track, where you go left, and then continue straight ahead over two stiles and alongside the field edge until you reach the gate on your right near Mount Caburn, which you passed through earlier. Turn left, downhill, away from the gate and return to the village of Glynde the same way you started the hike. 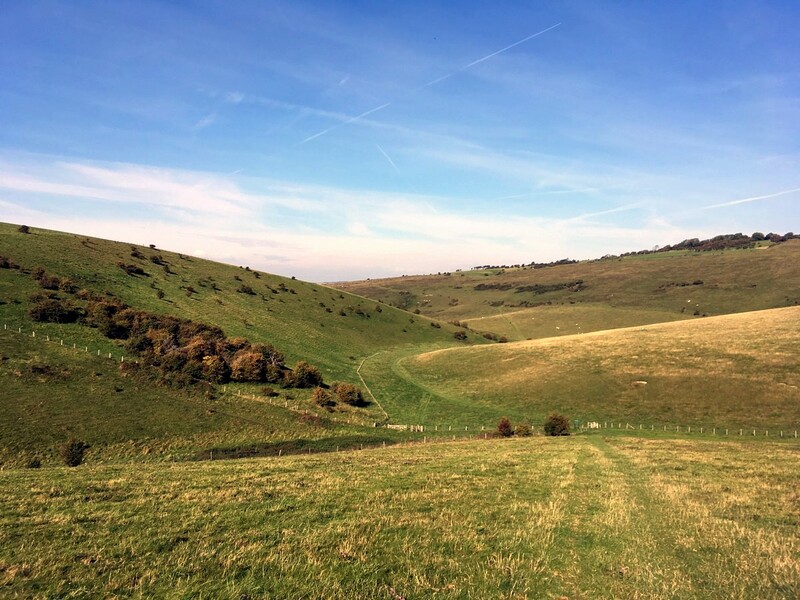 Firle Campsite is only five minutes from Glynde, set in a large meadow its spacious and idyllic. The Little Cottage Tea Room is an absolute treat to visit at the end, or start, of the trail. Based next to the post office in Glynde this delightful, fully licenced, tea room serves an array of drinks as well a scrumptious selection of cake. The Southease and River Ouse hike is a great one to combine with your visit. Only 20 minutes by car from Glynde, but a little further by train, changing at Lewes along the way.